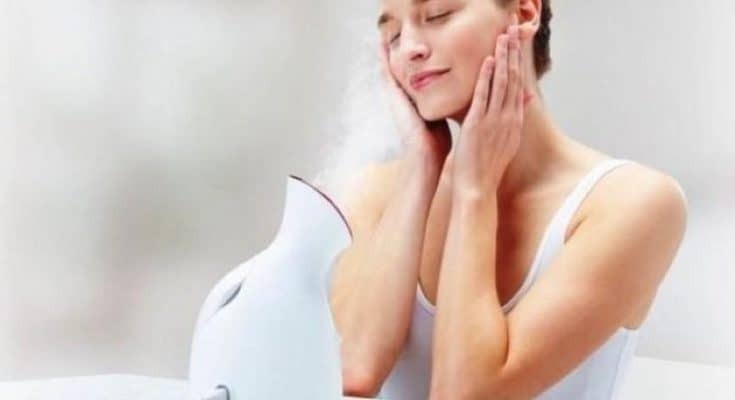 Steam treatments are important parts of the skincare routine. Steam treatments help you open up your pores, and allow skin care products to penetrate deeply into your skin. You can also use steam treatments to increase circulation, and battle the common cold. But generally speaking, if you want to find an easy way for your face to look refreshed, one steam treatment is all you need. And you can do it at home. So, how to steam your face? Do not worry, we have the answer. 3 Which essential oils are best? 4 How to do steam with warm towels? 5 How to get the most out of your steaming process? Let’s prepare for the steam treatment. You need a small pot filled with water. Bring it to boil. You do not need much water. One or two cups of water are more than enough. Now that you have your water ready, you have to get yourself ready. While the water is heating up, wash your face. Remove all makeup, any dirt, oil, or any other impurities on your skin. Your face has to be clean when you are steaming it. Just do not use any exfoliating scrubs or harsh soaps when washing your face. You should not do anything that will irritate the skin, as the steaming can make matters worse on irritated skin. Pour steaming water into a bowl. Big and ceramic bowl work best. For quick steam, you can also leave the water in the pot. Just do not put it in a plastic bowl, as you do not want any plastic molecules getting involved in your treatment. Optionally, at this point, you can add any essential oils or herbs to the water. This will make the treatment more special and powerful. If you do not like, you can do it without any herbs or oils. But oils will give an aromatherapy treatment. Do not more than a few drops of oils or a pinch of herbs. Put a towel over your head, and make sure it drops on either side of your face. This will trap the steam, and make it concentrate near your skin. Place your face close to the steaming water, but not too close. You want to feel the water massaging your face, but without burning it. A typical treatment lasts between 5 and 10 minutes. You can do a quick steam treatment in 5 minutes if you like. Do not steam your face for more than 10 minutes at home. If you have acne, reduce the steaming time. It is now time to apply a mask on your face that will draw away dirt. Because the steaming will open up your pores, it is a perfect time for using a mask. You can purchase a clay mask at a grocery store, or you can use some home treatments. For example, one homemade mask is a combination of honey and oatmeal. If you do not want to use a mask, simply wash your face with warm water. It is now time to apply a facial toner that will close your pores. Apply it using gentle strokes with a cotton ball. Two great options for natural toner are apple cider vinegar or lemon juice. Whatever you use, dilute 1 tablespoon in 1 cup of water. Never use undiluted lemon juice or ACV. The last step in how to steam your face is applying a moisturizer. All that heat and steam can cause your skin to dry out. It is important to follow up the treatment with some hydration. Aloe vera, butter, and oils will prevent your skin from getting too dry. Allow the moisturizer to absorb fully into your skin. You might be wondering, why should I learn how to steam your face? Why should you do it at home? And why steam at all. Well, the benefits of this treatment are far too good to ignore. We mentioned previously that you can add some essential oils or herbs to the boiling water to make it more potent and powerful. Here are some essential oils that are great for spa-like aromatherapy treatment. How to do steam with warm towels? The basic treatment for how to steam your face involves pot with boiling water. But you can also use warm towels to steam your face. Here is the guide for that treatment. How to get the most out of your steaming process? Now that we know how to steam your face, let’s talk about how to maximize the benefits. Few tips here and there can make a big difference in the quality of your steaming. Click here to read our reviews for the best facial steamer.